Floydwarriors.com, Inc. ?Helping Families Cope with Cancer, One Household at a Time? 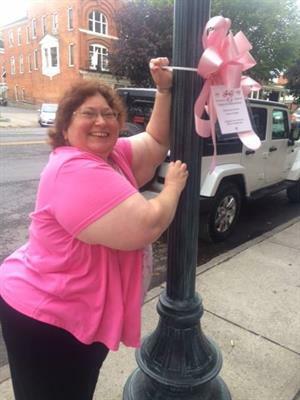 is currently selling pink tribute bows for its 6th Annual ?Pink Bows on Broadway? Campaign. This only annual fundraising drive by floydwarriors.com, gives individuals ($50 donation) and businesses ($250 donation) the opportunity to recognize heroes who have battled cancer or fought alongside someone who has. 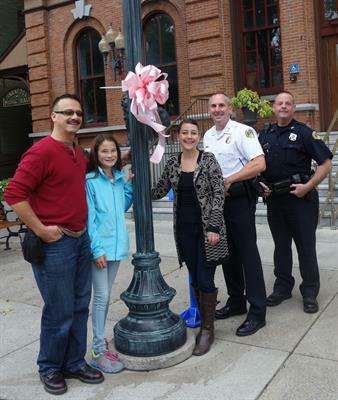 All pink bows will be prominently displayed on Broadway in Saratoga Springs October 1st thru October 31st. Each bow is accompanied by a tribute card that allows the sponsor to celebrate individual heroes including survivors, lost loved ones, physicians, fundraising warriors, special caregivers, family/friends, and any other person that deserves recognition for their involvement in the war against cancer. All proceeds from the campaign will benefit floydwarriors.com, a 501 c3 non-profit organization whose mission is to provide real help in the home for families undergoing cancer treatment mainly by the way of meals, cleanings and support of childcare. Floydwarriors.com started in 2010 and for the past 9 years delivered its mission, ?Dinner is Done, Dishes are Clean, and The Kids are OK!? Floydwarriors.com is also known for its very popular signature event at Easter, ?Project Easter Bunny?. In the spirit of helping with the kids, this program hosted by floydwarrriors.com provides hundreds of large Easter Baskets to cancer patients all across the Capital Region. Your purchase of a ?Bow of Support? will help floydwarriors.com to continue providing families battling cancer real help in the home and beloved Easter Baskets. All sponsorships are due by 9/28 so be sure to reserve your bow today! To purchase a bow online visit floydwarriors.com. Requests for bows also may be sent directly to floydwarriors.com c/o 582 Rt. 9P Saratoga Springs, NY 12866. Be sure to include your name/business name, the individual your donation is in honor of and how you would like your tribute acknowledged on the sponsorship card that accompanies the bow. Additional information may be obtained visiting www.floydwarriors.com or sending a request to info@floydwarriors.com. Pink Bows on Broadway is the only sponsored by floydwarriors.com fundraiser held annually to help this non-profit organization deliver its mission of "Dinner is Done, Dishes are Clean and the Kids are OK!". 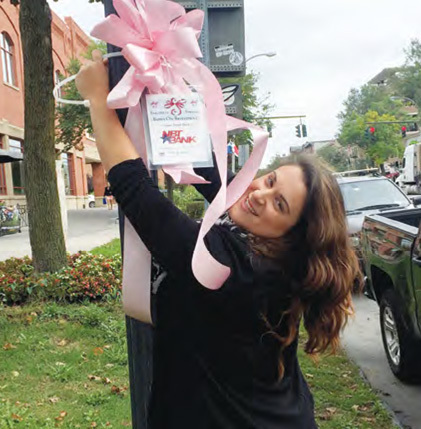 All sponsorship bows will be displayed on Broadway in Saratoga Springs the entire month of October. Pink Bows on Broadway sponsorship bows are on sale now through September 30th. Pink Bows On Broadway each come with a personalized tribute card. In the ordering process, the donor can specify who the tribute honors. The cost for an individual sponsorship is $50 and the cost for a business is $250. All to benefit floydwarriors.com.